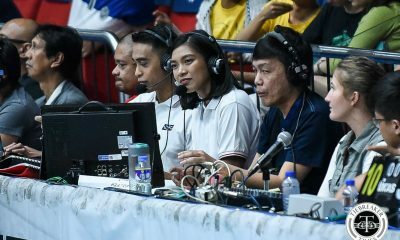 Alyssa Valdez and the Bureau of Customs Transformers finally solved the puzzle of the Bali Pure Purest Water Defenders. Mostly composed of Valdez’s former Ateneo teammates, Bali Pure had shackled Valdez’s offense for their initial two meetings. But with her back against the wall, Valdez poured in 27 points to keep BOC’s season alive, taking Game Two of their semifinals series in four sets. “This is really a big win for the team kasi semifinals and we’re extending the series sa Game Three, so it’s a really big win. But more than that, we’re really happy na, today talaga we really played as one team, we really enjoyed the game. “Lahat kami sumisigaw, kahit anong mangyari, point man or hindi, pinaglalaban talaga. 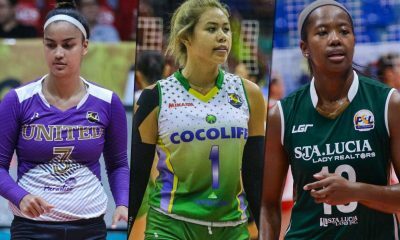 So that’s the character na we really have to bring going to the third game,” the two-time UAAP champion furthered. After pleading to her teammates to back her up after their Game One loss, Thai imports setter Nic Jaisaen and Som Kuthaisong heeded their captain’s call. The two were equally pivotal during the Transformers’ season-saving win. Back in a do-or-die situation, Valdez knows she’s going to need everybody on the team to deliver. “Oo, Season 76 pa lang, two years ago [nakakalaro sa do-or-die],” she reflected. “I think yun nga with the help naman of my teammates, you can’t do everything alone. Sila coach din nag-adjust, buong team nag-adjust, we really talked a lot today. And she vows that they will enter the win-or-go-home match-up with a kill-or-be-killed mentality. “Another game, another battle. hindi rin natin alam kung ano talaga ang mangyayari, so zero-zero yan, parang tie lang so patayan na talaga sa Game Three. “May the best team win sa Game Three,” she closed.